Make it easy for your beloved pet to reach sofas, beds and more! The versatile Pet Studio Pine Frame Dog Ramp converts into easily from steps to ramps and back again as well as storing conveniently under your bed, keeping your room neat and tidy! This dog ramp comes already assembled and is made of sturdy pine wood, not pressed board like other ramps. With it’s carpeted surface your pet won’t slip either! This ramp steps easily convert from steps to a ramp to make it easy for aging or arthritic pets to reach sofas, beds, and more. 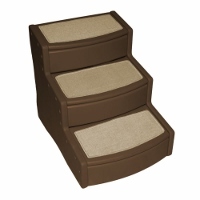 Easy to use staircase skittish pets who don’t like traditional pet steps. 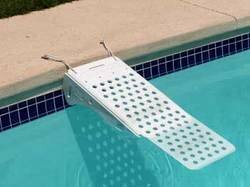 Innovative patented design. Sturdy mahogany-finished pine frame holds pets up to 130-pounds. Each step measures 12-inch depth by 16-inch width and is covered with soft, non-slip, easy-clean carpeting. Perfect for aging or arthritic pets. Folds flat for storage. Handle and steps that lock in place increase portability. This ramp/steps combo is made of pine wood and not press board like many dog steps are. It weights approximately 55 pounds. Therefore, the pine frame is a sturdy enough to hold a maximum of 130lbs. It has a leather handle that makes it easy to carry. It comes already assembled. Many customers love this product, because it is pleasing to the eyes. When it is up, it will not be an eye sore in your den or living room. Plus, the steps are not bulky and can easily be stored under the bed and some couches. The three steps measure 40″L x 17 1/2″W x 19 1/2″H. The steps are covered in soft, non-slip, easy to clean carpeting. The steps are not too steep so small dogs can maneuver up them with ease, and the steps are wide enough to not strain a longer built dog’s back. 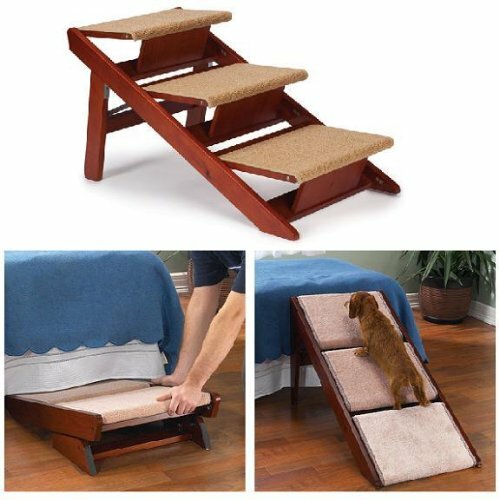 Another great benefit of using these steps that you do not have to worry about your dog sustaining injuries from wildly jumping off the bed. 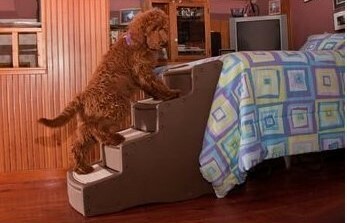 It does not take long to train your pet to use the steps or ramp. 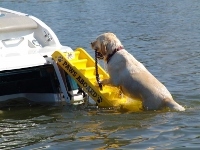 Some pets can be trained in 90 seconds. 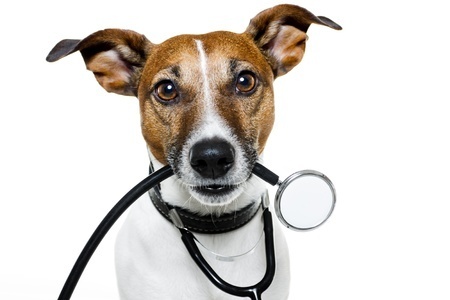 is not only beneficial to your pet. It has many benefits for you. 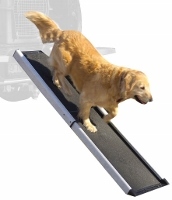 If you are dealing with a bad back, shoulder or elbow problems, do not worsen your health when the Pet Studio Dog Ramp has the perfect solution for you. You will not have strain your back lifting your pet onto a couch or bed. Some pets can be feisty. If you try to pick them up, they will squirm and scratch you. 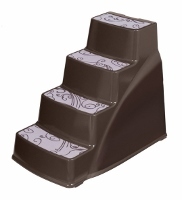 The stairs will allow your pet to have independence and not rely on you for everything. 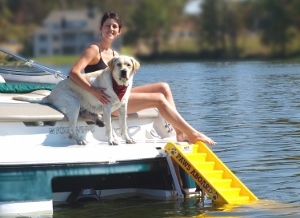 The ramp option is fantastic for pets suffering from strained or broken limbs. If your dog is having hip problems, the ramp option is the best. 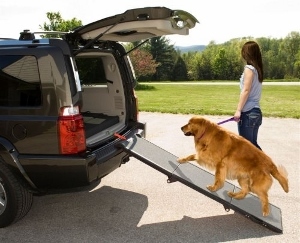 The ramp can also be used to get your pet inside and outside of your SUV, van or truck. At other times, the ramp or the steps can work. It is best to see which one your pet prefers. Some will prefer the stairs over the ramp and visa versa. Although this is marketed as a dog ramp, it can be used for cats. Older cats will enjoy the relief of not having to jump. 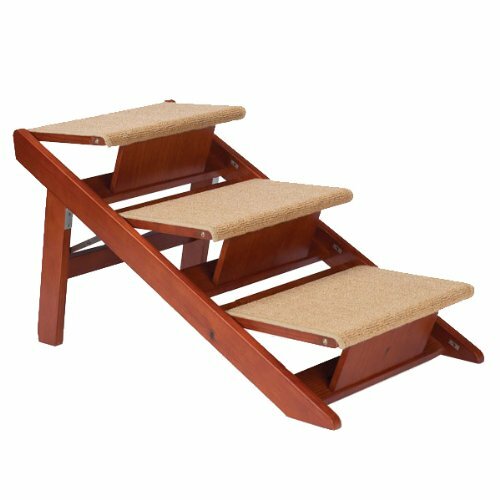 If you are looking for pet steps that can work for any occasion, Pet Studio Pine Frame Dog Ramp/Steps are the right way to go.